Lesson 1: What is investing? Investing means strategically buying different types of investments or “assets”—such as stocks, bonds, and real estate—in hopes they will grow your money. You can think of investing as giving money to a person or a company that can put it to good use, such as to start or grow a business. If they succeed, they share a portion of what they earn with you. Investing is a way of sharing in the growth of the overall economy. A typical savings account pays just 0.06% in annual interest. The stock market has returned an average of 10% per year. After accounting for average inflation of about 3% per year, you actually lose money in savings. One reason for the dramatic difference is compounding, which lets you to earn returns on top of the returns you’ve already earned. 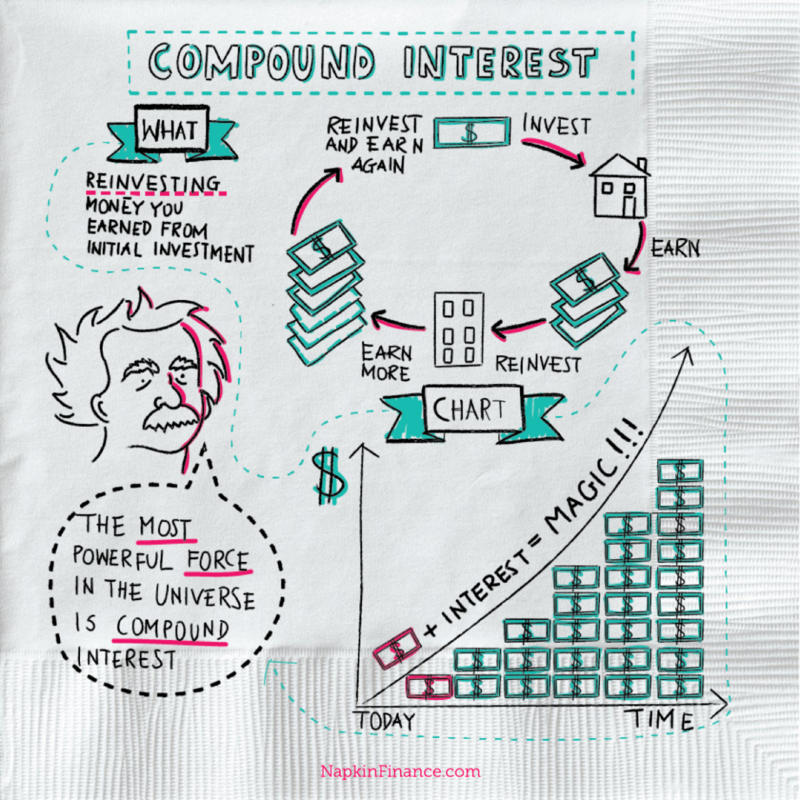 Compounding can magnify return differences: That’s why you see such an enormous gap between the $1,000 invested at 10% and the $1,000 invested at 0.06%. 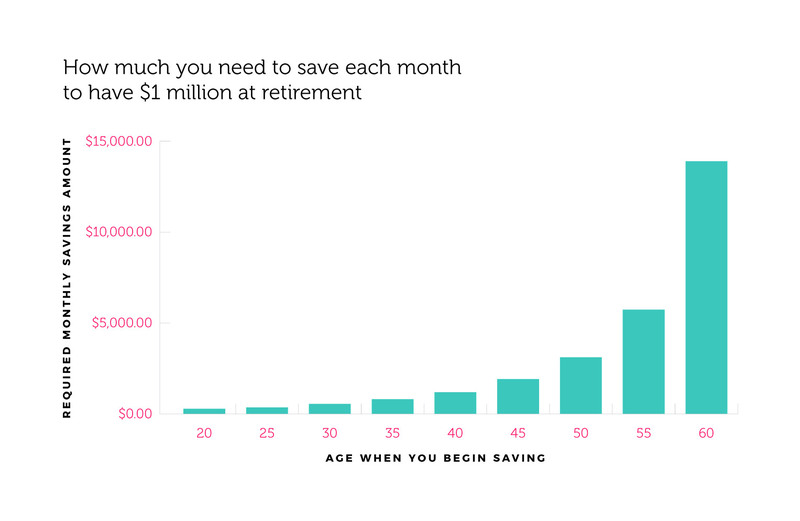 The chart below shows how much you need to save each month to retire at 65 with $1 million, depending on the age you start saving (and assuming a 7% annual return). As you can see, the sooner you start, the easier it is to meet your goal. 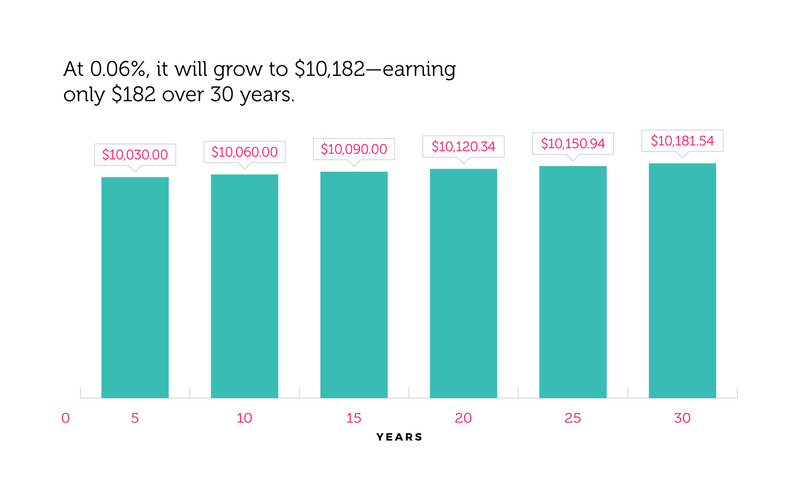 If you give your money enough time to compound and add to it along the way, it can grow into true wealth.